Anti-Gravity Selfie Case: a nano-suction case that sticks to glass, whiteboards, and other flat surfaces. It is available for iPhone 6 and 6+. Pooch Selfie: a smartphone attachment that enables you to capture better photos with your pet. It comes with a selfie ball to capture your pet’s attention. Selfie Spoon: a selfie stick, spoon, and remote that lets you capture selfies while you eat your food. 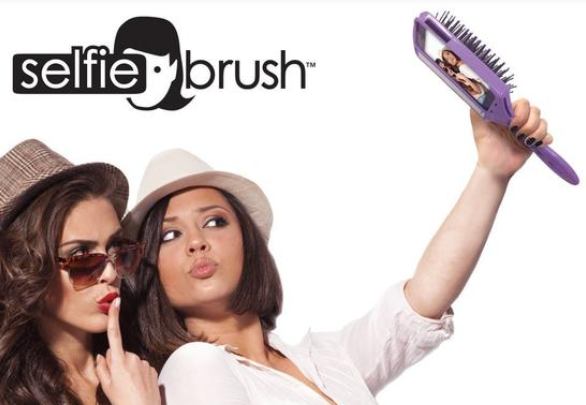 Selfie Brush: lets you fix your hair before capturing a photo. 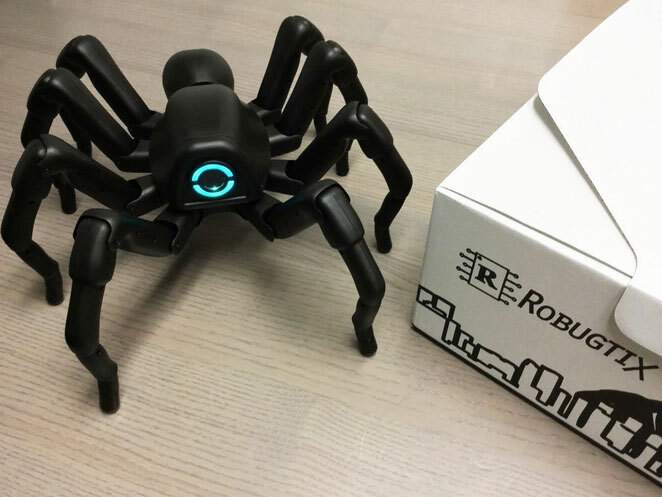 It holds your phone and lets you charge it while it’s inside. LuMee Case: this case lets you take better selfies in low light conditions. It also works as a flashlight. 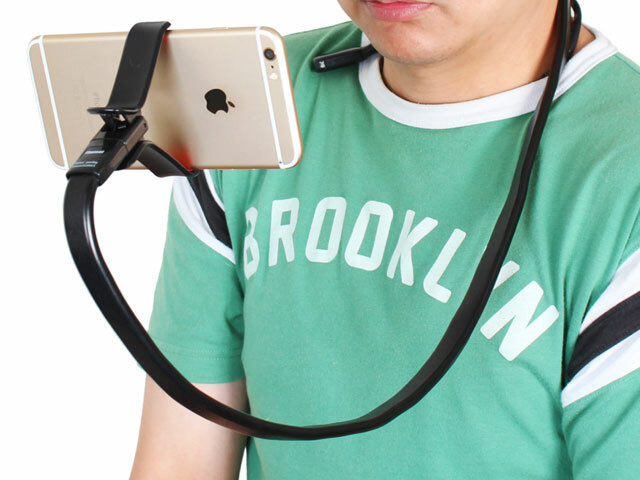 Phoseat Selfie Stand: a flexible phone stand that you can wear around your neck for selfies. Which one of these selfie tools are you impressed with?